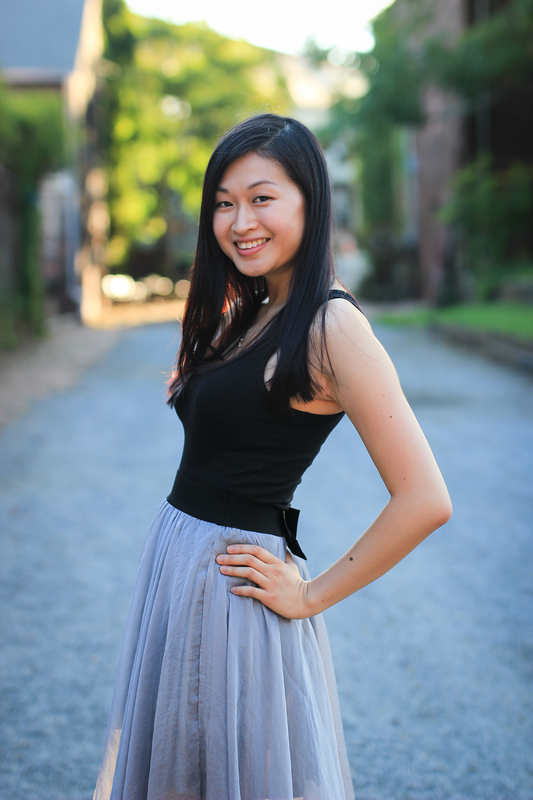 We’re excited to have Kat stop by and to ask her questions about THE EMPEROR’S RIDDLE. Once you’ve finished reading the interview, be sure to enter the giveaway for a copy of the book! Tell us more about the development of Mia. What do you hope she means to readers? As for Mia–it’s always hard for me to talk about “developing” my characters, because it usually feels like they’re revealing themselves to me, rather than being characters that I have to make up. From the first few pages of the first draft, I knew that Mia was going to be a dreamer, a lover of history and fantasy, someone with her head up in the clouds. I knew, too, that as much as she liked these things about herself, they also made her feel inadequate next to her high-achieving mother and older brother. The rest of Mia’s quirks and traits built from these core elements of her personality. I think there are a lot of kids like Mia, but the world eventually pushes them to change, to be more sensible and realistic and “Adult.” Of course some growing up is inevitable, and maturity is important–but I hope readers of RIDDLE find some encouragement in how it’s Mia’s fantastical, dreamer nature that helps her solve problems no one else can. Why did you decide to write a family-based story? What importance does family have in the book? I set RIDDLE during a family trip to China in part because similar trips were a cornerstone of my own childhood. Those summers were all about family for me–not only was I spending a whole lot of time with my parents, but I was seeing all this extended family that I usually didn’t interact with at all. And that’s on top of all the stories about my parents I’d hear, all the old pictures and places I got to see. Considering the roots of the story, it only made sense to bind RIDDLE with themes of family and belonging. Underneath the treasure-hunt plot, RIDDLE is at its heart a story about Mia coming to terms with the various members of her family, and discovering new aspects of them she never appreciated before. What was your research process like for the legend and cultural/historical landmarks in The Emperor’s Riddle? Tell us about some of your favorite discoveries. The research for each of the riddle/clue landmarks was actually pretty extensive, but also a lot of fun! I wanted to make sure I touched on a variety of places, but also used places that were old enough to have realistically been around back when the riddle was created. My mother is actually from the Fuzhou area originally, so I’m pretty excited about actually visiting these locales in the future. I’d especially like to see the “Three Lanes and Seven Alleys” area Mia and her family visits. It seems really neat! 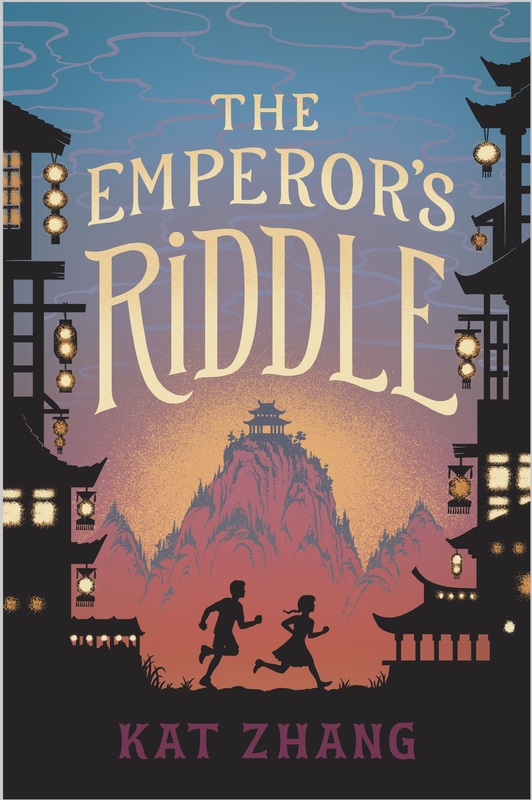 What have been the most challenging aspects of writing The Emperor’s Riddle? The most rewarding? The logistics of the riddle was probably the trickiest part–just making sure that everything came together correctly, and stayed as historically accurate as possible, while still being exciting and fun. It was incredibly rewarding for me to get to delve into Mia’s travels, the cool things she sees, and to hear that readers have had fun taking this journey around Fuzhou with her. I see that you have another middle grade book and a picture book on the horizon. What can you tell us about them? Are there any other projects you’re working on right now? Yes! My next middle grade is called THE MEMORY OF FORGOTTEN THINGS. It’s about a girl named Sophia, whose mother died when she was six years old. However, that’s not how she remembers it–not always. You see, even after her mother’s death, Sophia kept accruing new “Memories” of her mother, memories of things that never actually happened… Now she’s on a quest to make these “Memories” come true, to change the fabric of her world so her mother never died. I’m incredibly excited for them both! What 2017 books by or about people of color or people from First/Native Nations are you looking forward to reading? Which ones would you recommend to our followers? I recently got copies of two other books my editor worked on this past year: WHEN DIMPLE MET RISHI and AMINA’S VOICE. I haven’t gotten the chance to read them yet, unfortunately–the last few months have been pretty hectic–but I’ve heard really great things! Is there anything else you would like to tell us about The Emperor’s Riddle or your other work? Only that I’m so thrilled they’re going to be out there, and I really hope they give kids the chance to see him or herself reflected in the novels they read. You can reach her at www.katzhangwriter.com, @KatZhang (twitter), or @KatZhangWriter (instagram). Kat has generously offered a copy of THE EMPEROR’S RIDDLE to one of our readers! Enter the giveaway by using the Rafflecopter widget below. The giveaway is only open to people with U.S. mailing addresses. It will end at midnight Eastern time on July 17th.